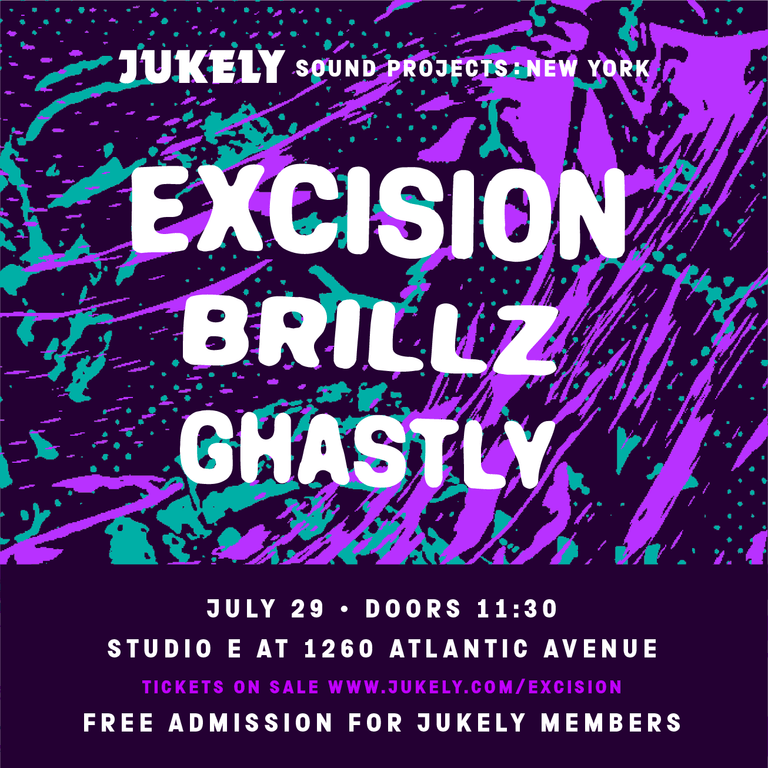 Bass overlords Excision, Brillz and Ghastly are teaming up with Jukely for their ongoing Sound Projects concert series. The three DJs will be hitting the same stage for a massive concert that will have New York based EDM fans raging this summer. The concert is slated for July 29 at Brooklyn’s Studio E and while admission is free for all Jukely members, general admission tickets will go on sale tomorrow, May 19 at 11 am EST. This is without a doubt going to be an unforgettable show, so don’t wait to grab your tickets. For those who don’t know, Jukely is a subscription service based app that gives members admission to upcoming music events in their city, with an emphasis on up and coming talent. Members can gain admission to as many as one concert for every day of the month, and the service will continue to roll out exciting events for their ongoing Sound Projects series. You can head over to Jukely’s site for more information and to sign up.